Massive preparations were underway to celebrate the BSP supremo's 63rd birthday in the state capital. New Delhi: People looted cake on the occasion of Bahujan Samaj Party (BSP) chief Mayawati’s 63rd birthday at an event in Amroha on Tuesday. News agency ANI tweeted a video of the event. 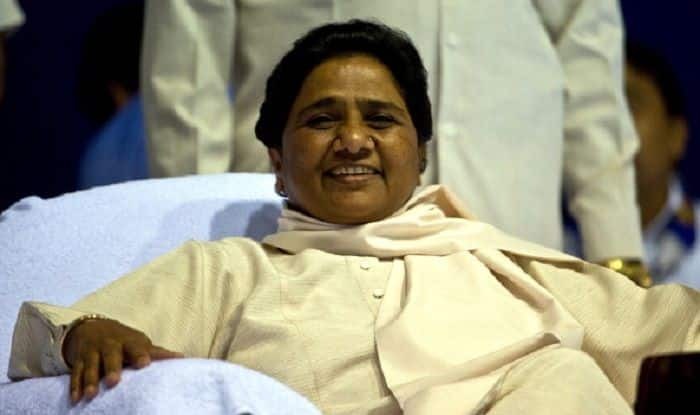 Earlier in the day, while addressing a press conference on her birthday, Mayawati had said that best gift for her from her party workers would be a peaceful alliance between the SP and BSP. The aim of the SP-BSP combine was to teach BJP a lesson, said Mayawati. “The SP and the BSP need to forget their differences after tie-up…Our alliance is giving sleepless nights to the BJP,” the BSP chief and former Uttar Pradesh minister had said. A similar incident occurred at Mayawati’s 60th birthday celebrations in Uttar Pradesh’s Muzaffarnagar. On the occasion BSP Politicians and local public had created a chaos as they looted pieces of the birthday cake and distributed clothes.